Madonna's birthday wish this year is to further help the children of Malawi, and today the international, award-winning musician and philanthropist has teamed up with Omaze, an online giving platform, to launch a global campaign to support her charity, Raising Malawi and its project to build Malawi’s first pediatric surgery and intensive care unit. The 5-week campaign kicks off on August 16, 2016 – Madonna’s birthday – and will help create a “Rebel Heart” playroom in the pediatric facility. The campaign concludes on September 15, 2016, at which time a grand prize winner will be randomly selected to join Madonna in Miami. A hospital can be an unfamiliar and worrying environment for children and their families. The Rebel Heart playroom will provide a calm, joyful space for the children to play and learn, which will help improve both their physical and emotional health. In July, Madonna visited Malawi to review construction progress of the pediatric facility which will double the number of pediatric surgeries performed in a country where 50% of the population is under 15 years old. The campaign is a special way for fans to join Madonna as she gives back, and in doing so, fans can earn rewards, including exclusive signed memorabilia and merchandise for their donations. 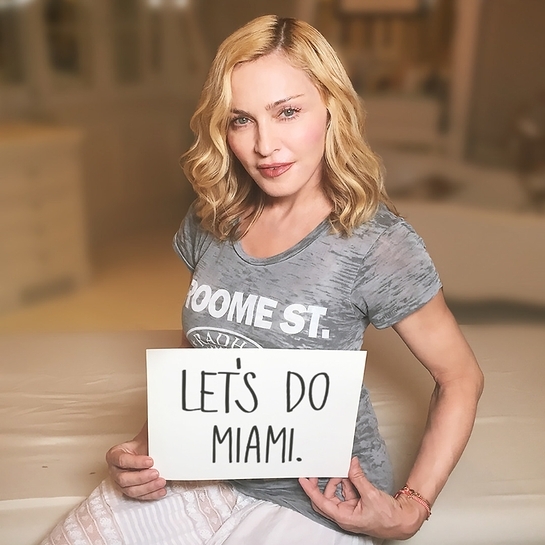 Through the Omaze platform, fans can donate as little as $10 for the once-in-a-lifetime chance to spend time with Madonna in Miami. Proceeds from the campaign will benefit the Rebel Heart playroom. Visit Omaze.com/Madonna to learn more and enter for your chance to win and support Madonna’s birthday wish.